And the winner is……well, you be the judge! The idea of a cook-off was born from my friend I, during a casual conversation about making pizzas on the bbq. Of course, you need at least two people for a competition, and in come myself andB. So, this past long weekend was our first annual cook-off resulting in a great night of cooking, tasting and good conversation! The rules…..there were 3 rounds in total, each round consisting of 2 kinds of pizza (we each took a turn grilling one kind pizza), making 2 pizzas for kind. 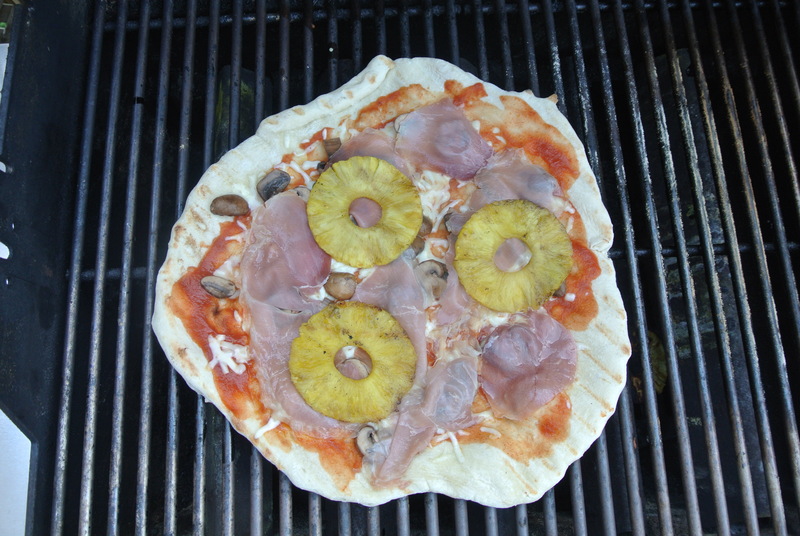 Round 1 – I started with my version of the classic Hawaiian pizza made with fontina, provolone, prosciutto and grilled pineapple adding much more flavour. 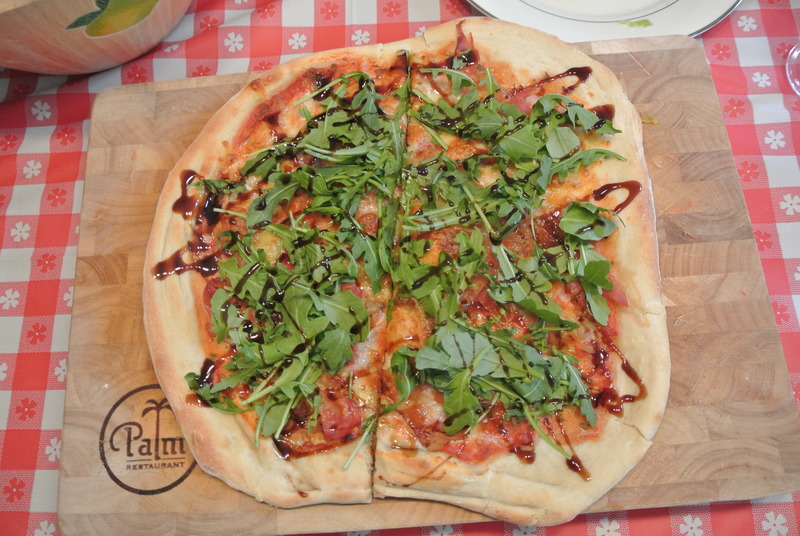 B also started with a prosciutto pizza but topped with arugula, caramelized onions and a balsamic glaze. Round 2 – began with my take on a classic salad combination, blue cheese, arugula, pear and walnut pizza. With having a dessert pizza as my last final round,I needed to go last which then resulted in B upping his game on his 2nd pizza serving a home-smoked duck breast, mushroom, cheese, cream and fig reduction pizza. I must admit, it was delicious! 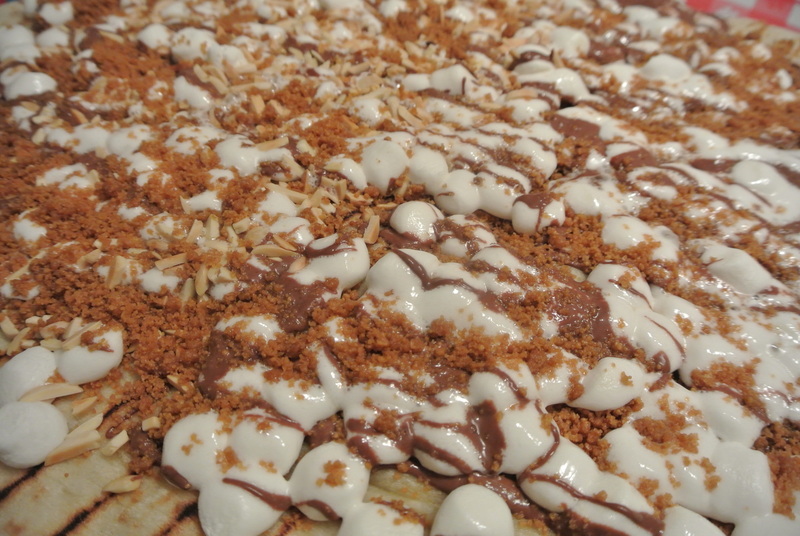 But I had my best pizza as my finale – that’s right, a Smore’s pizza! Miniature marshmallows, hazelnut chocolate spread, toasted almonds and graham cracker crumbs! A definite crowd pleaser (I’ll be making this pizza again!). 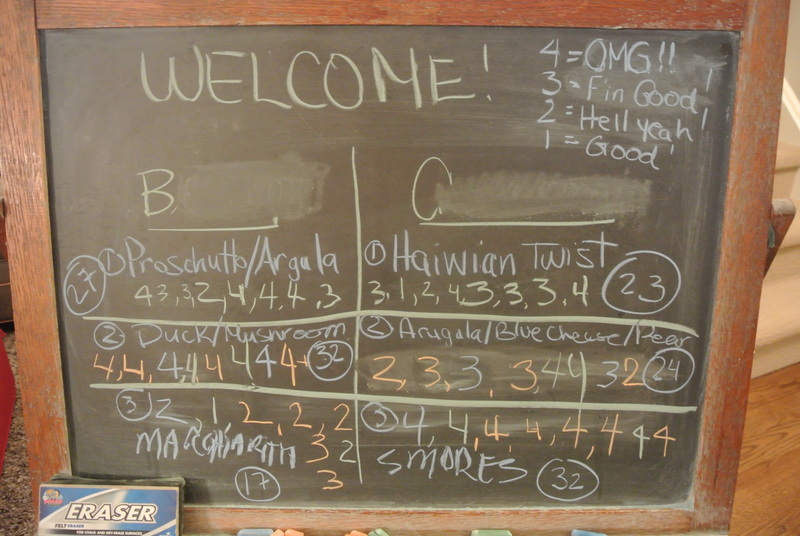 The votes are in – check out board! My Pizza 1 – my rendition of Hawaiian pizza! B’s Pizza 1 – Prosciutto and arugula pizza. 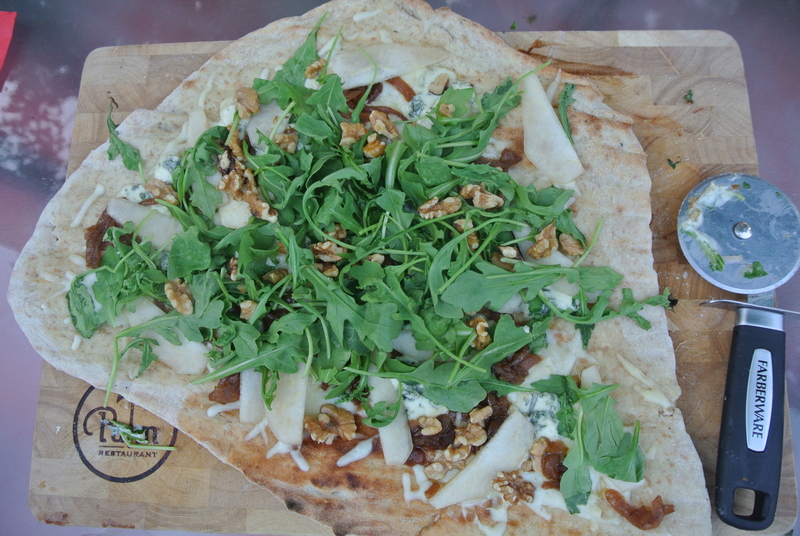 My Pizza 2 – Blue cheese, caramelized onions, pear, arugula and walnut pizza. 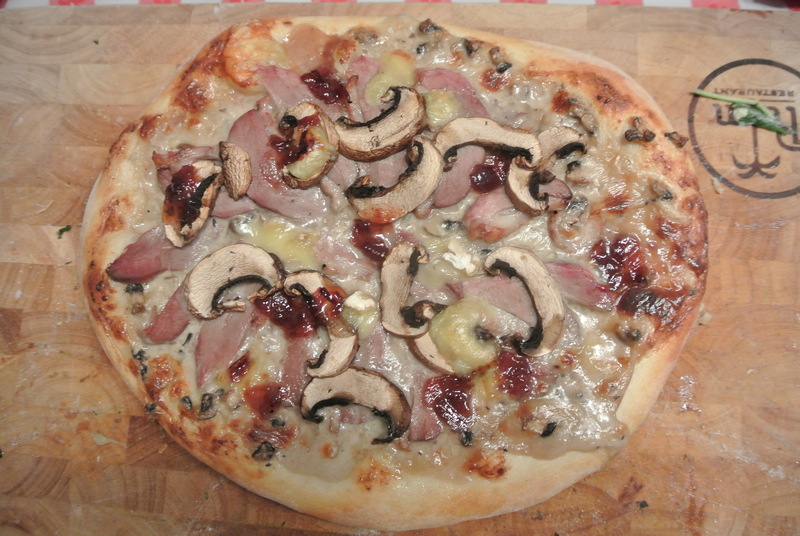 B’s Pizza 2 – Smoked duck and mushroom pizza. 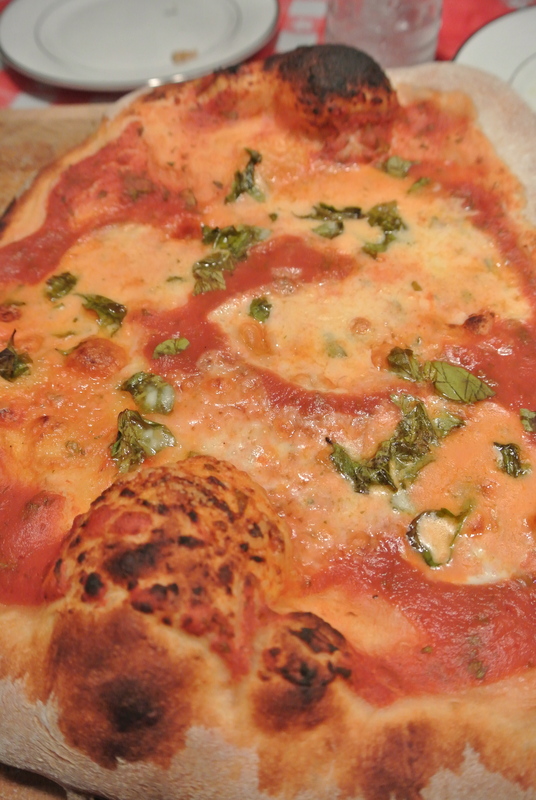 B’s Pizza 3 – Classic margarita pizza. 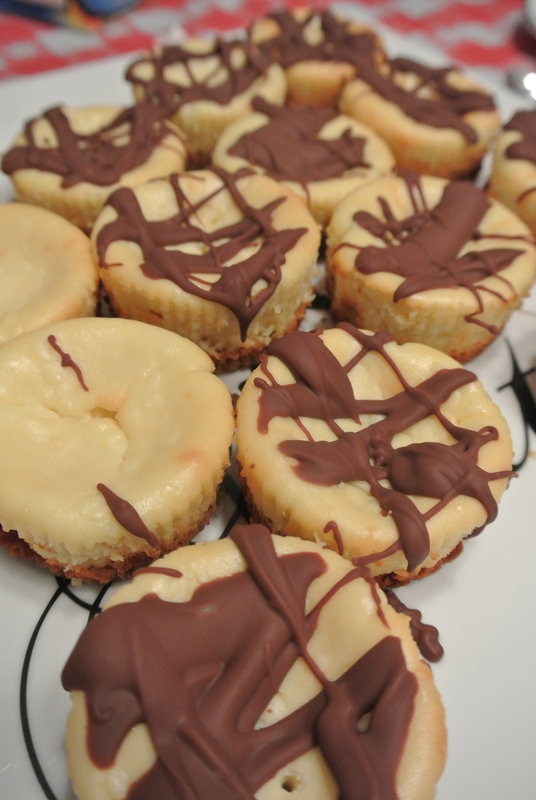 My Pizza 3 – Smore’s dessert pizza! The score board – it was a close one! I’m C! Homemade appetizers – parmesan crisps. 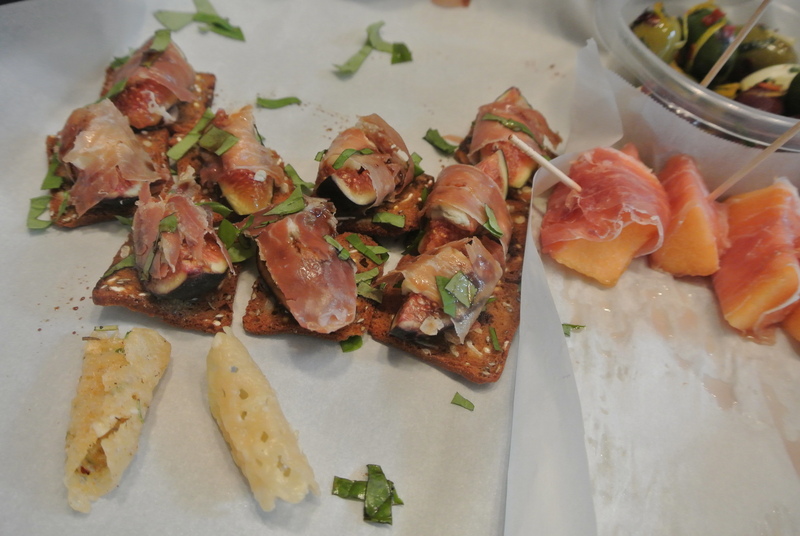 fig topped crackers and prosciutto wrapped cantalope. 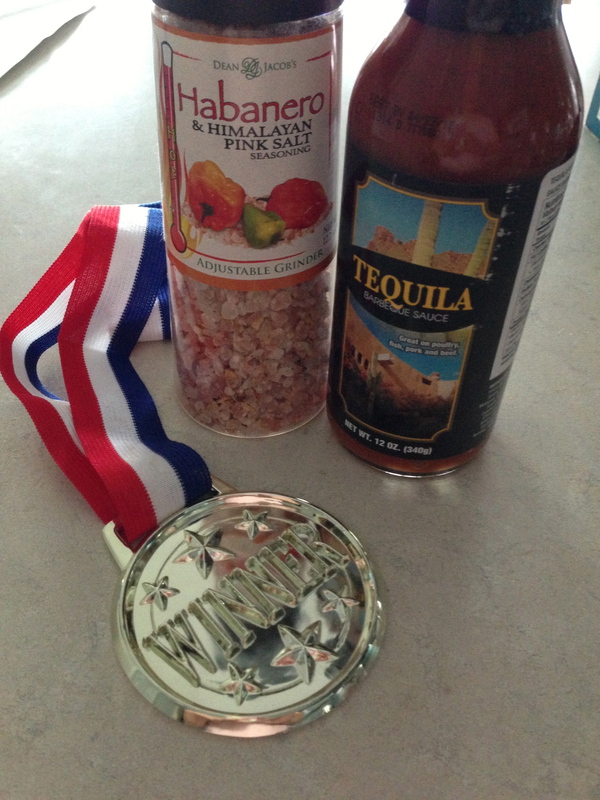 The prize!…..until the next cook-off!